David Braben has been threatening to make Elite 4 for a decade and a half. According to the iconic game designer, he’s even started work on it a number of times. His studio Frontier Developments has worked on the game in different incarnations repeatedly since opening in 1994. Even now as Braben and Frontier took to Kickstarter to independently raise funds to fuel development of the open world space simulator, it looked like the studio might not hit its goal. With just over one day to go, though, Frontier Developments finally has the money to make a new Elite. Frontier opened a Kickstarter to fund Elite: Dangerous on Nov. 5, with the ambitious goal of raising £1.25 million (just over $2 million) to fuel the game. That’s a hefty sum, but other classic game developers have handily raised similar amounts, including Obsidian Entertainment and its Kickstarter-funded game Project Eternity as well as InXile Entertainment’s Wasteland 2. 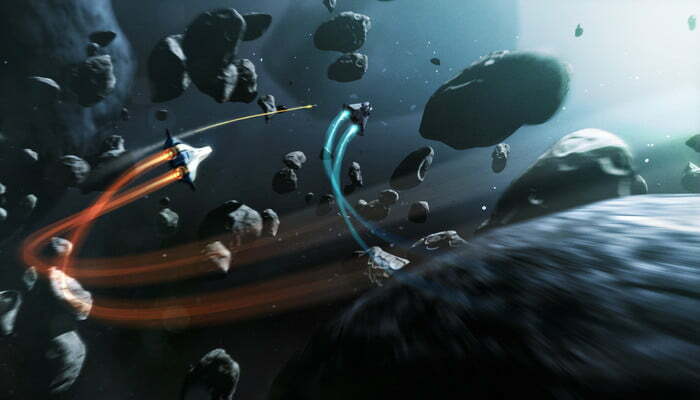 Those games as well as projects like Tim Schafer and Double Fine’s new adventure game, Chris Roberts’ Star Citizen, and a number of others have demonstrated a real thirst for classic franchises and genres, but Elite: Dangerous struggled to meet it’s goal, extending the Kickstarter for two months rather than the usual one. Ambition has been one of the factors keeping Elite 4 from completion all these years. Back in 2000, Frontier was developing the game as an early MMO but cancelled it that same year. Braben committed to working on the game once work was done on its equally ambitious project, the cancelled PS3/Xbox 360 game The Outsider, but that version never materialized last decade. Elite is often credited as being the first “sandbox” game, the first to let players explore a wide open world at their own pace. Elite: Dangerous is coming out in a very different game landscape than the one that birthed it.